Choosing the right monocular is not as easy as spotting a deer in an open field. In fact, it can be as hard as trying to locate it in dense vegetation using a foggy lens. This hasn't been made easier owing to the many types and brands that are readily available in the market and considering newer and more advanced monocs are launched in the market every other day. Curious on whether the Vortex Solo 10x36mm Monocular would stand up to its good reputation or the competition, I decided to take a deeper look at this optical instrument. According to the manufacturer, this is a compact and standard accessory that guarantees you of a better experience. But does it? Except for the carrying bag, all the other accessories scored-well in the relevant fields. The neck lanyard is made from quality material and is also comfortable while the utility clip is not only heavy-duty but also well-made. However, the carrying case comes with open sides that expose the equipment to the elements. The lack of a lens cap on the monocular is also another drawback and the aftermarket lens covers don’t fit properly. 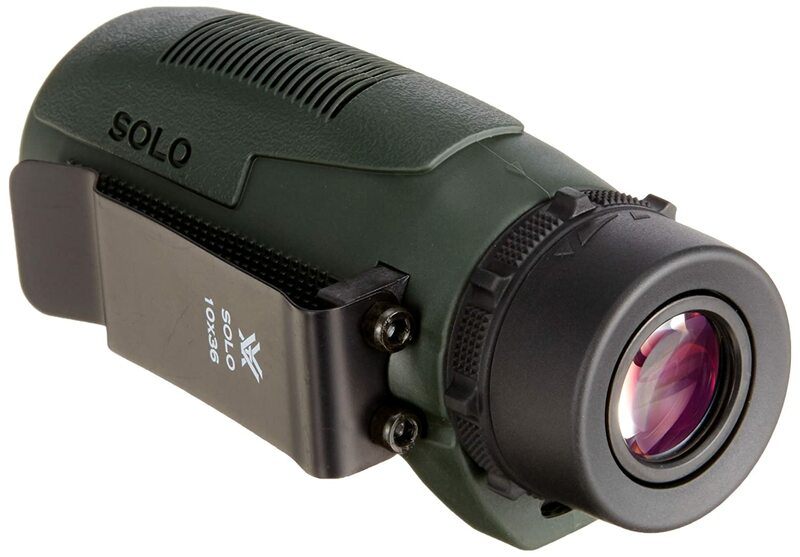 What’s The Power Rating of the Vortex Solo Monocular? Power is key to enjoying maximum satisfaction, and with 10X magnification delivered via the 36mm objective lens, the Vortex Solo 10x36mm Monocular does offer good resolution and clarity for its money’s worth. While it may lag slightly behind the likes of Leica or Zeiss in terms of resolution, it ranks among the best in regard to monocs in the same class or price range. Are the Optics on this Monocular Any Good? This particular model comes with completely multiple anti-reflective coatings that offer great light transmission. To achieve this, the multi-coated optics is integrated with the air-to-glass surface. And to ensure the unit fits in the hand and is also durable, the Vortex features a roof prism desig. The monocular barrel is purged with nitrogen to combat fogging while the O-rings seal the lenses to prevent entry of dirt, dust, moisture or water. This piece has seen me tackle different terrains, weather and climates while still providing amazing view. 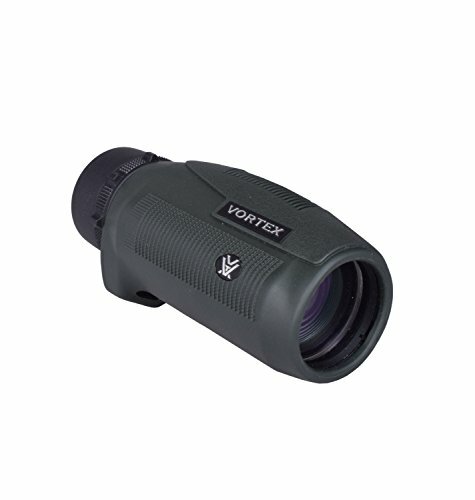 With a viewing field of 325 feet @ 1,000 yards, the Vortex Solo has decent territorial coverage and locating your target whether dear hunting, bird watching is relatively easy. Unfortunately, the view isn’t so great when you are too close let’s say 16 feet or less. The focus isn’t very crispy and this offers not-so-good visibility. This monocular comes with an easy-adjust eyecup that twists either upwards or downwards. A user can vary the angle to suit the desired preference or need at hand. Nonetheless, this piece isn’t the most comfortable and the user needs time to adjust to a setting. The eye relief could have been better as I found myself pressing the eyeglasses against my skin a bit because of the 15mm eye relief. It would be better if the monocular came with the more convenient 19mm. How is the Vortex Solo’s Body? True to the manufacturers claim, this Monocular is designed for the outdoors and longevity. It comes in rugged and sturdy construction that will tolerate the rough outdoors. 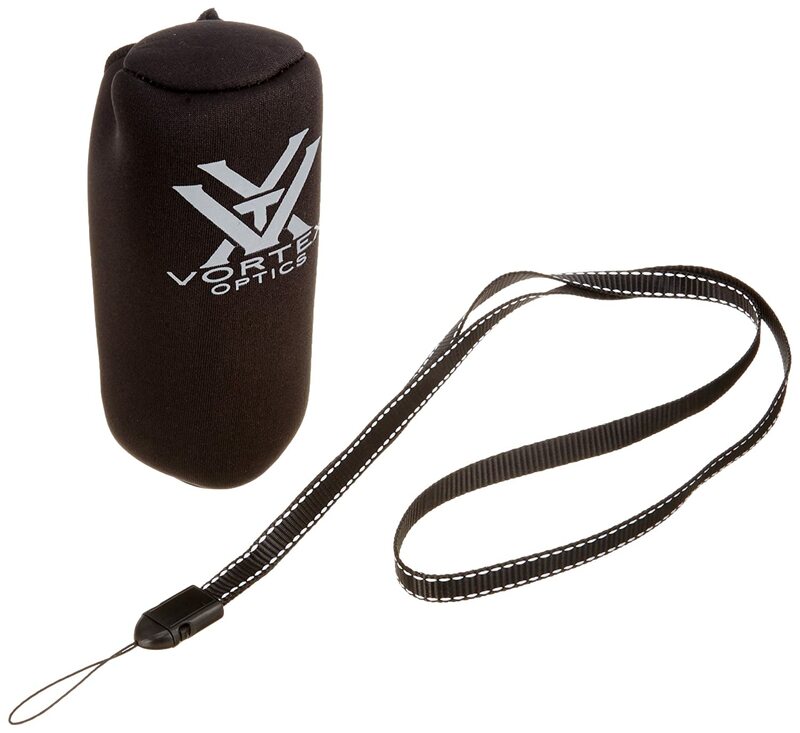 Similar to other monocular by Vortex, this piece is also covered with rubber armor that not only provides firm non-slip grip but also enhances longevity. Its reliability is further boosted by the heavy-duty utility clip that is easy to attach and detach. From my observation, the glass is much easier and more convenient to use with the utility clip attached courtesy of the added gravity of the heft. Some users however complain of this monocular being a bit heavy (weighs 9.7 ounces) and this affects handling and portability. The Vortex brand is known for backing their products as one way of assuring its customers. This monocular comes with transferable VIP Unconditional Lifetime Warranty that allows you to replace or repair the optics free of charge. It doesn’t matter who caused the damage, what caused it, or the time you bought the piece. You also don’t need to provide a receipt or fill out a warranty card. Simply call the company, send the faulty product and they will handle the rest. I believe they offer such a warranty because they know what their product is meant to do. Not only is it well-constructed but is also coated with rubber armor that combats vibrations and shocks. After dropping my monocular from heights as high as 20 feet while on a tree, my glass still survived without any damage, breakage or scratches. I’ve heard of people complaining of sand getting inside monocular case and ruining the clarity or glass. With this monoc this won’t happen thanks to the airtight seal that keeps the elements at bay. The sturdy glass is also resistant to scratching or fading. How Suitable Is this Monocular in The Field? 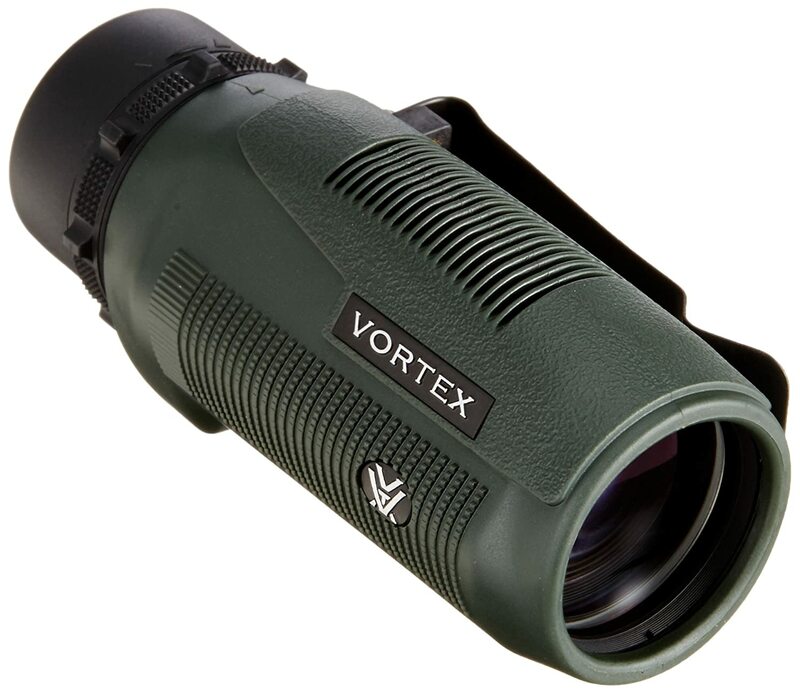 Like with any other product, I was a bit skeptical with the Vortex Solo 10x36mm Monocular. Would it handle the outdoors? Was it made from durable material? And would it tolerate frequent falls from high heights? These were among the questions that crossed my mind before and during the purchase. I must admit that it performed better than I expected especially considering its lower price range. The unit provides good clarity, reliable resolution, is sturdy and ideal for shooting, hunting, watching birds and other applications. It even helped me spot a buck that would have escaped if it was just another monocular. As of right now, this is the monocular for me. It is lightweight, compact, durable and has good clarity & resolution. Carrying it is relatively easy just like fitting it, attaching or detaching related accessories. Carrying case’s open side allow in dust, dirt and other debris. 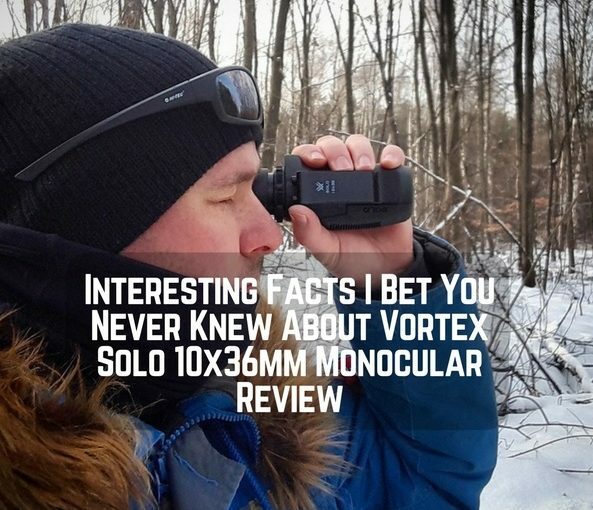 I appreciate you joining me in reviewing the Vortex Solo 10x36mm Monocular. While it doesn’t give the resolution of $ 300 plus monocular, this unit comes very close yet it costs a third of the price. Its well-made, has good clarity and the weight isn’t bad. However, its eye relief is a bit short and the open sides of the carrying case allow in dirt, dust and other debris. All-in-all, the positives outweigh the negatives and make the Vortex Solo 10x36mm Monocular worth the money.